Do you know that K2 children interested in enrolling into a Madrasah next year just took their entrance tests on 13 April? Do you know that seats in the four Madrasahs (Irsyad, Wak Tanjong, Al-Ma'arif, Alsagoff) are limited and very competitive? Do you have a child in N2 or K1? Do you want him or her to ACE the test in 2020 or 2021? Or do you simply want your child to have a good foundation in Arabic or Malay? InshaAllah that is all possible with the help of Allah through Buzzing Bees Montessori's Madrasah Preparatory classes. 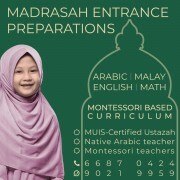 Malay for 12 years, and a couple of Montessori teachers with over 19 years' of experience each. Classes for the 2020 and 2021 Madrasah preparatory tests have already started. As our class sizes are small, we are able to help your child progress from the level that he or she is in upon enrolment. Sign up your child for this much beneficial enrichment. 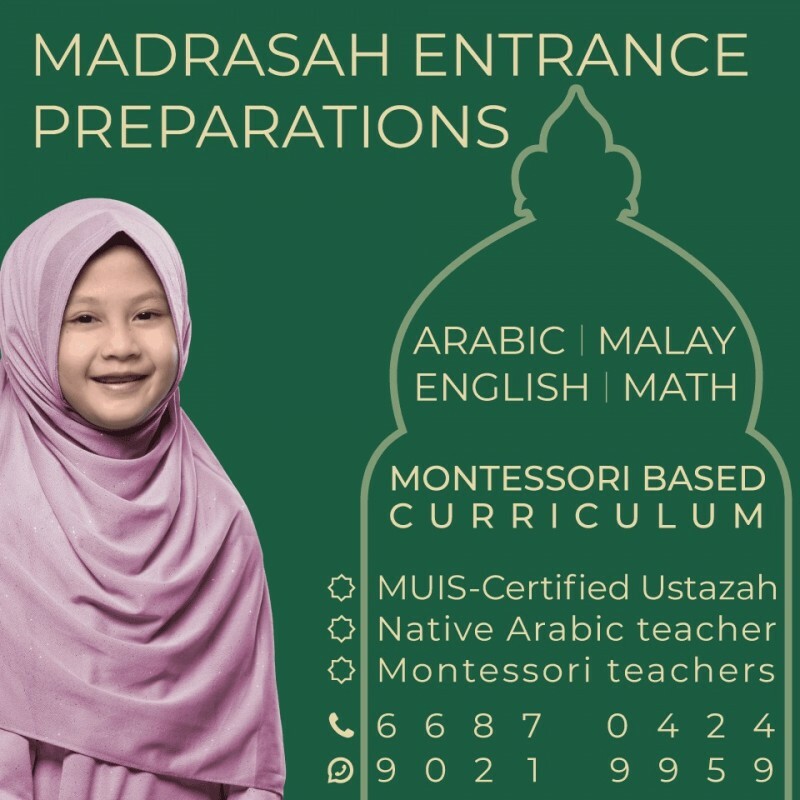 Whether you are enrolling them into a Madrasah or not, it still helps them to have a head start in Primary 1 in any school and allows them to have a solid foundation in Arabic, Malay, English, and Math. Buzzing Bees Montessori's classes would remain small in size (max 5 students) for focused teaching and learning. Classes are available on Saturday and Sunday mornings and Friday evenings. Visit www.buzzingbees.com.sg for further enquiries. The Prophet (pbuh) said - Those who postpone their rightful tasks will be destroyed.